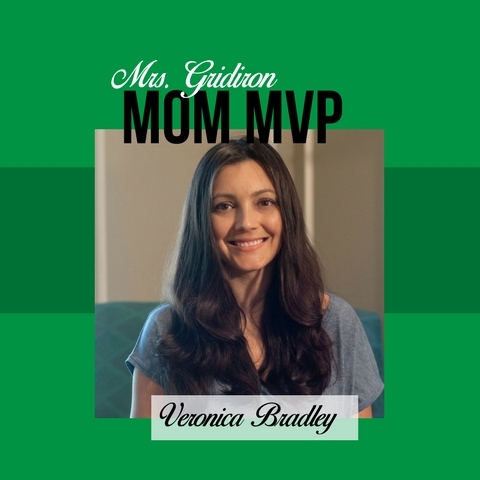 This month’s Mom MVP is a local mama who specializes in using the right words! Veronica Bradley is a creative director and copywriter with a gift for connecting words and inspiring brands. She spends her time helping people sound as great as they actually are! 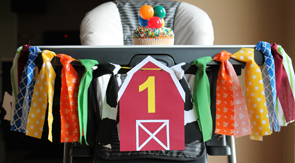 Hi, I’m Veronica, mom of two and a helplessly creative individual. When the kids are sleeping, I’m a freelance creative director/copywriter, so I essentially make things sound pretty. I also build the occasional templated Website for clients on a budget, and photography is my taxed hobby. I love riding my bike around White Rock Lake. What is your favorite meal? This is almost embarrassing to post, but pizza! I love pizza. If there’s pizza at a party, I will be first in line no matter what. It’s like the hunger games. What is your favorite restaurant? My favorite family-friendly restaurant, Zuzu’s, just temporarily shut down! I guess right now I love Resident Taqueria. I do the meatless thing, and they have excellent options for me. Plus my son goes to town on their pinto beans. What is your favorite kitchen gadget/tool? As much as I want to say microwave, I’ll pick my enamel coated cast iron pan. I’m deadly with it, but not in the Loony Toons way! Eggs, pancakes, quesadillas, fried rice, veggies … I must use that pan at least twice a day. What do you do to recharge your batteries? I have a three year-old boy and a four month-old girl—I never get to fully recharge my batteries! But the hour before I go to bed is MINE, so I sit on my bathroom counter, go through my skincare routine, pluck my eyebrows, and have something playing on Netflix on my laptop. What is your go-to hostess gift? My husband and I usually bring a fancy local beer. He’s the Creative Director at one of the local breweries (Lakewood Brewing), so we always have a few interesting bottles around the house. We love to show people that not all beer is the same, and helping someone discover that (gasp!) they actually do like some beer is always rewarding. Aaaand I may or may not have been the model for one of the breweries most iconic labels! What is your entertaining must-have? Music. You have to have something in the background that’s loud enough to be noticeable but quiet enough to be ignored. And if it’s 90s music, bonus! It’s also a win whenever a singalong spontaneously begins. What is your favorite holiday to host? Now that I have small kiddos, Christmas has reclaimed that childish magic for me. I love having my house full of people I adore but don’t see enough, I enjoy the noise of a kitchen full of laughter, and I cannot get enough of reminiscing with my extended family. 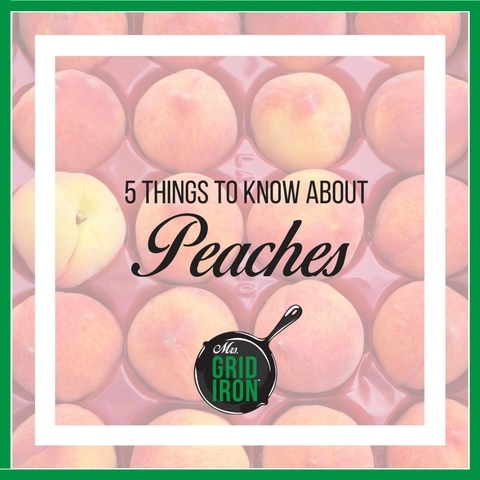 August 24th is National Peach Pie Day and to celebrate we thought we’d share five things to know about peaches (compliments of Foodimentary). Did you know? Peaches were once known as Persian apples. “You’re a real peach” originated from the tradition of giving a peach to the friend you liked. Peaches were mentioned as early as 79 A.D. in literature. Most peaches are cultivated by grafting different combinations of rootstocks to scions; not raised from seed. There are over 700 varieties of peaches – some Chinese varieties are even flat like hockey pucks. Who knew? Hope you indulge in a slice of peach pie or a glass of peach sweet (see Monday’s post) today! Happy National Peach Pie Day! I’ve always believed a cold glass of sweet tea can make almost anything better. Down here in Texas, they say “our tea is sweet, our words are long, the days are warm and our faith is strong.” I couldn’t agree more! And since tomorrow is Eat a Peach Day (we have some fun peach-themed posts coming this week!) 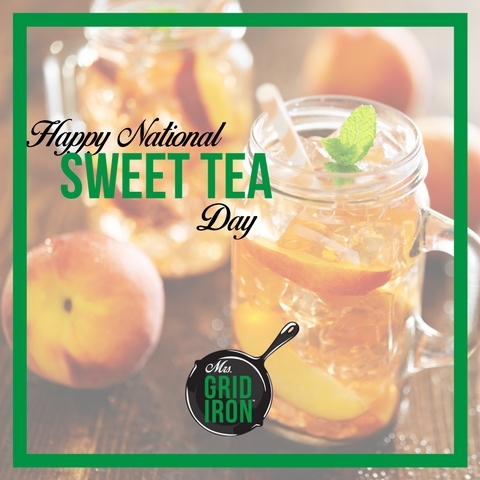 I thought it would be fun if we all made a pitcher of homemade Peach Sweet Tea. This recipe is so easy to make and we should all enjoy a glass before peach season comes to an end! Grab your cutest straws and I’ll see you by the pool. 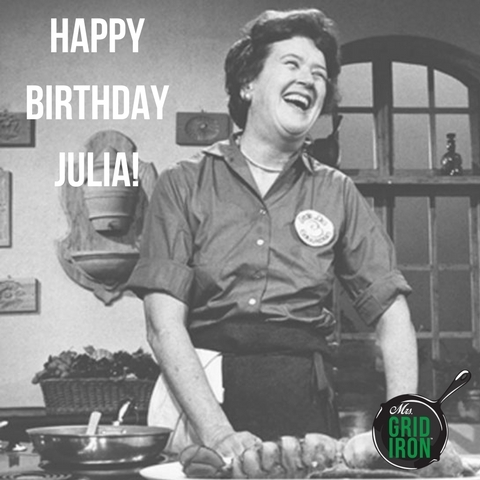 Julia Child’s passion for cooking, her humor, no nonsense attitude and her delicious recipes continue to inspire us all. To pay tribute to her legacy, why not celebrate with a feast of your own? Here are a handful of recipes and dishes she loved. Enjoy! 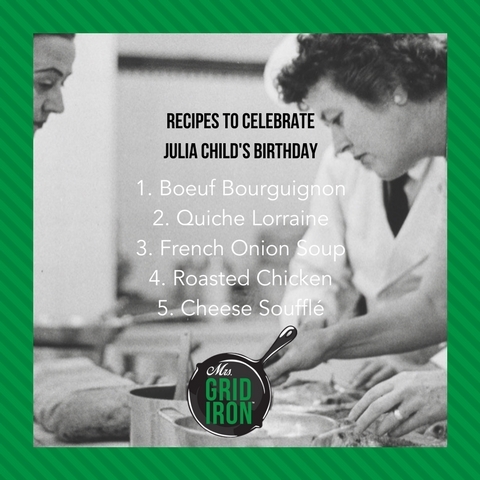 Today would have been Julia Child’s 105th birthday and we join the rest of the culinary community in honoring and celebrating one of our beloved icons today! Her recipes were classic and her fearless attitude has inspired us all. Maybe we can all commemorate her birthday by making one of her signature recipes this week. 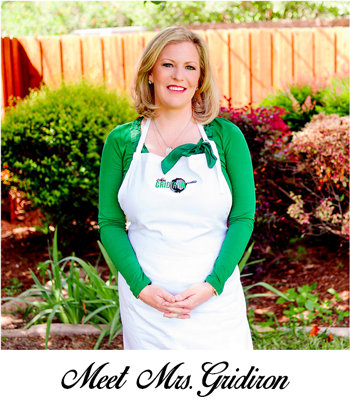 We’ll be sharing a few of her best dishes this week – stay tuned! This Saturday is my birthday! I believe life gets better every year, even with all of its ups, downs, twists and turns. We are so blessed this year with Baby #2 on the way – family is the most precious gift. I’m grateful for another year to learn, to grow and live life to the fullest. So in honor of my birthday, we decided to celebrate Oprah style with a list of my favorite things from over the years. I have so many moments and memories but these are a few that stand out. 1. Getaway trip to Kuai – Coach and I spent our 1st anniversary in Kuai, HI and we completely fell in love with the island. It is not as commercialized as some of the other islands and the locals are so friendly. If you visit I highly recommend The Merriman’s Fish House for dinner. It is where we spent our anniversary and we had the most magical evening including spectacular views and amazing food! 2. A cookbook to treasure – I have my mom’s copy of Necessities and Temptations (The Junior League of Austin) with her notes and changes. As such it is one of my most prized items I inherited from her. What I love about this cookbook is its terrific blend of savory and sweet all with a homemade Southern flair. 3. A restaurant we love – I adore risotto and Taverna has the best in town. They always have a risotto special so I get to try different flavor combinations every time I go! 4. 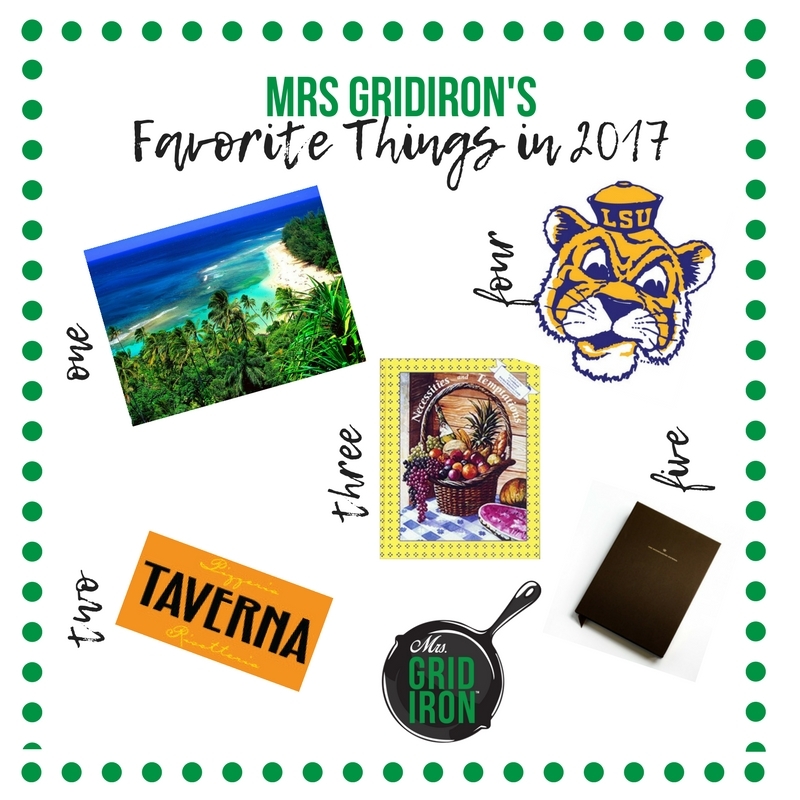 Football season – I love football naturally being a football coach’s wife, but specifically I love college football and my LSU Tigers. 5. Entertaining – Here’s a great entertaining tip. Keep an entertaining journal. It helps you to remember what you served to whom, what your guest’s favorite food and drinks are, what worked well and what you need to change for the next time. 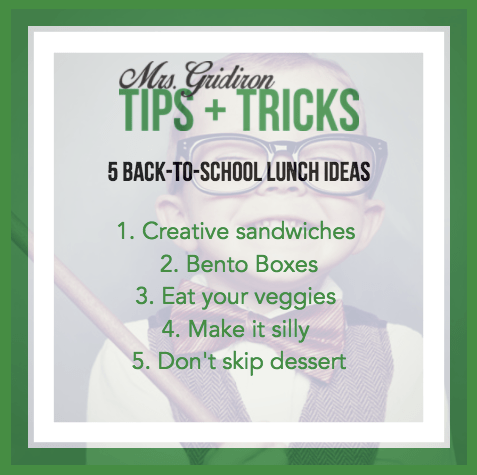 It’s back-to-school time, and we’ve got some tips to keep your school lunches creative and fun! 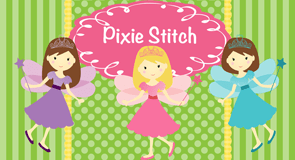 Start the new school year off with some cute and quirky ideas for your kiddos lunchbox. 1. Get creative with those sandwiches! 2. Fall in love with bento boxes – here’s one of our favorites! 3. Don’t forget some healthy veggie options. 4. 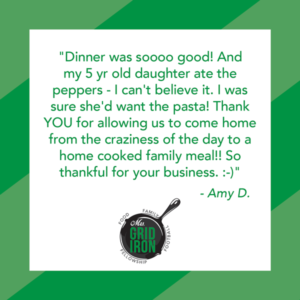 We love using silly skewers and food picks to make it fun. 5. Lunchbox desserts to make the kids smile. The beautiful fruit of summer has its own day. And to celebrate, we wanted to share a unique recipe. Usually, we think of a fresh watermelon salad with feta and mint…and that is a delicious idea! 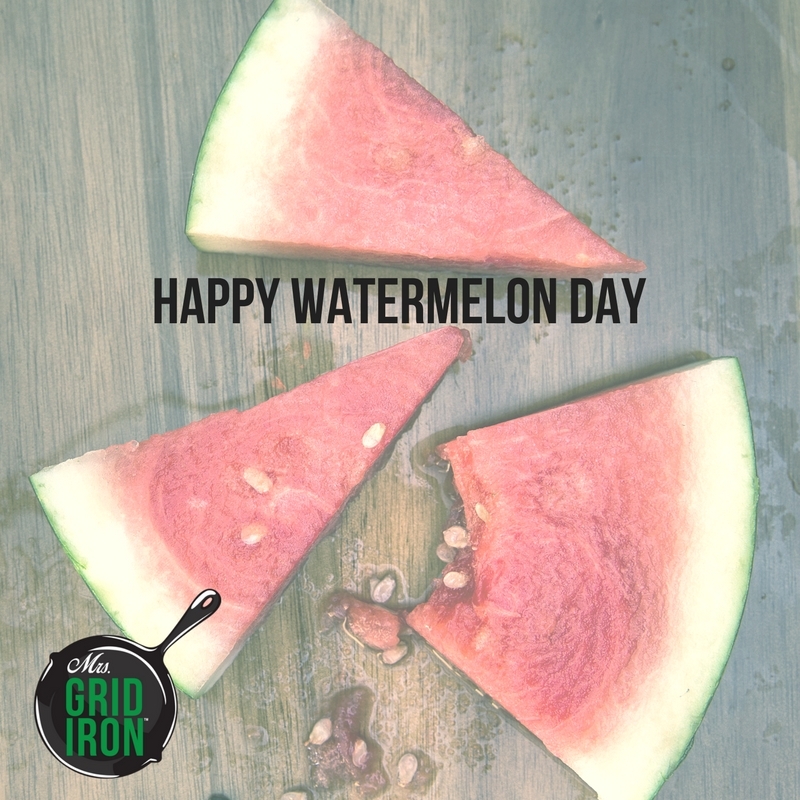 But one recipe I love to consider is grilled watermelon. You might not think of putting fruit on the grill but it makes for a great summer snack! Try this recipe and let me know what you think! Today is National Girlfriends Day and I figured it would be a great day to show your best girls how important they are. 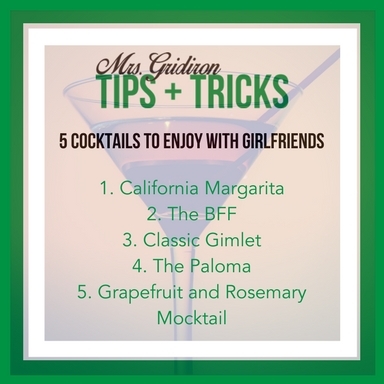 What better way to commemorate these ladies than with a homemade cocktail night! (Perhaps a mocktail for this mama-to-be!) We hope you’ll use this day to spend time with the women in your life and maybe pour them a cold drink – after all, the best girlfriends deserve it! If it has seemed a bit quiet over here, there’s a good reason. 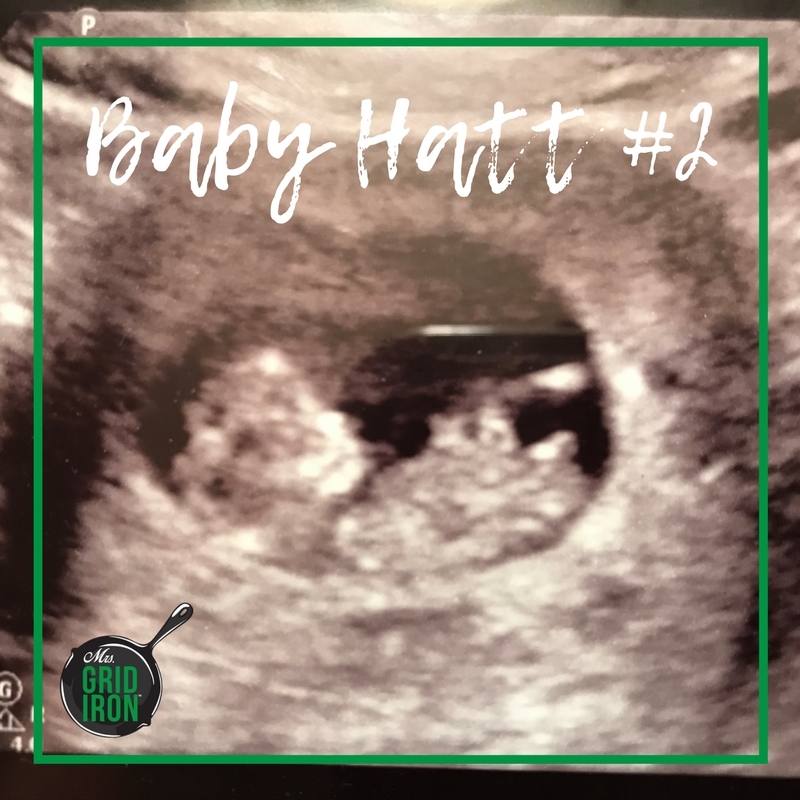 Nathan and I are very excited to announce that Baby Hatt #2 is coming in February! I’ve been in the throes of first-trimester sickness, but we are very excited that after years of trying, another sweet little one is on the way. After a lot of discussion with our doctors and each other, we have determined that it is in my best interest to stay off my feet and get as much rest as possible. So, for now, it means we have to press pause on our meal deliveries and we are going to have to postpone opening the store front until after the baby comes. We are so sad about this, but with our journey to parenthood fraught with lots of fertility struggles, loss and heartbreak, we don’t think we should take any chances, and as much as I want to, I shouldn’t try to do everything at once! I know you mamas out there understand where I am coming from. So for now, we will be switching gears with the business and focusing on the catering side, our product line of sauces and spices (look out for some new products to launch in 2018!) 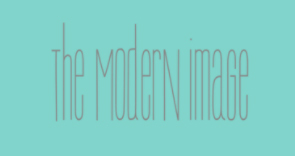 and the blog. We are thrilled to have the time to bring you all new content, more stories, recipes, recommendations and tips and to share our passion of Food, Family, Fellowship and Football even more so with each of you! We want to take a moment to thank all of our customers who have been faithfully ordering and please know…we hope to revisit the storefront in 2018! Until then, stay tuned to our Facebook and Instagram pages and the blog for updates. 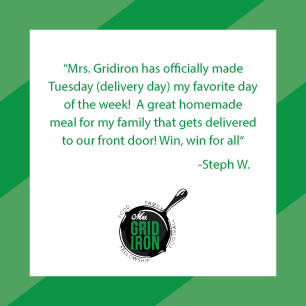 I’ll be busy cooking up the newest member of our family and we can’t wait to celebrate all the JOY that this will bring to the Mrs. Gridiron family. We feel so blessed.